The Australian Packaging Covenant has partnered with Sustainable Victoria to fund this project to increase recycling rates and reduce post-consumer packaging to landfill. 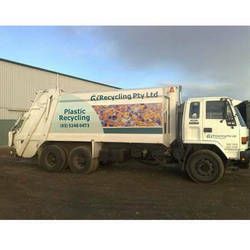 Funding recipient GT Recycling is an innovative plastic recycling company, with its processing operations in Geelong. With collection infrastructure operating throughout Victoria, the company has identified an opportunity to significantly boost flexible polypropylene packaging recycling by around 1,500 tonnes p.a. The project will introduce specialised equipment into its existing plastics recycling facility to enable the sustainable recycling of particular plastics across a range of packaging and non-packaging formats. The most common use for this flexible plastic packaging is the retail checkout bags that are ubiquitous across all aspects of retailing and promotion. These plastic bags will be a key target for this project, alongside plastic packaging of rice, sugar, grains and bulk industrial bags. The end product created through this process will be a high quality resin, which can be reproposed into new plastic products. Over recent years, G.T Recycling has engaged Deakin University to develop the right equipment to produce a very high quality resin that has a wide market appeal both domestically and internationally. The company has completed significant research and development (R&D) with Deakin University and industry partners, and intends to continue its R&D focus in this area going forward. The company has a strong network of waste plastic suppliers with a pent up demand for the recycling of flexible plastics in many forms. This project will fill a current gap in the overall suite of recycling solutions for packaging, and will complement the more widespread opportunities for recycling flexible polyethylene packaging.